When I need board quotation the vendor needs to know how many surface mount pads are in the design. 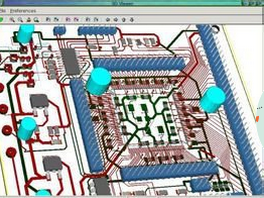 But I can not find the number in Kicad. Is there anyone have any suggestion to help me ? You need to de-select anything you have selected in PCBnew, then look on the status bar. It lists number of pads, tracks, etc. At last, you could know the number of SMD pads by calculating. Actually I am always puzzled why SMD pads have to be counted for a pcb price quotation. Is it because that different number means different work? The test for interruptions would be directly influenced by the number of pads. Because different number of SMD pads have different PCB density, risk, and e-test time. So the price is different.